For such a relatively small place, the island of Bali sure offers a deliciously large number of deluxe resorts – way over 40, by our count. 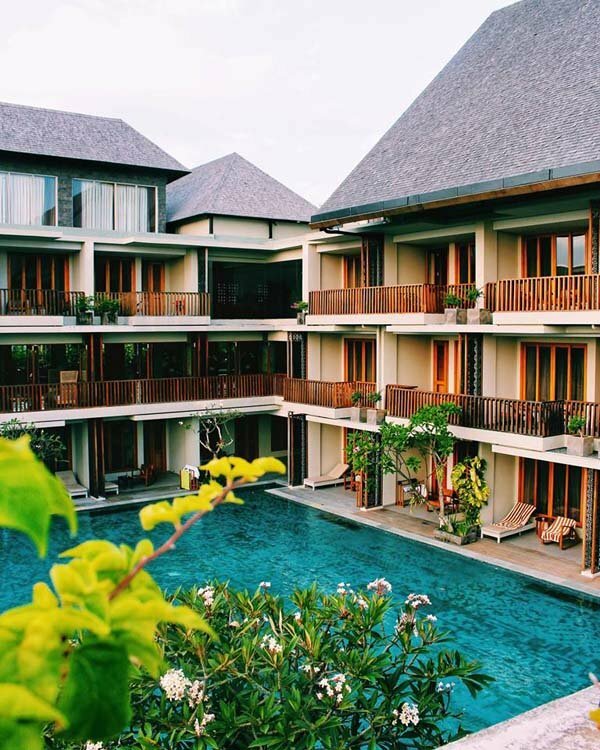 We’ve stayed at so many luxury hotels in Bali, we almost feel like Bali hotel inspectors! Now we’ve compiled our reviews on the best luxury Bali hotels here in this one convenient guide. Each of these 5 star Bali resorts is special in its own way. To help you, we’ve categorized these Bali hotel reviews according to your hotel style and preference. Are you a sucker for romance? Or do wicked ocean views seal the deal for you? 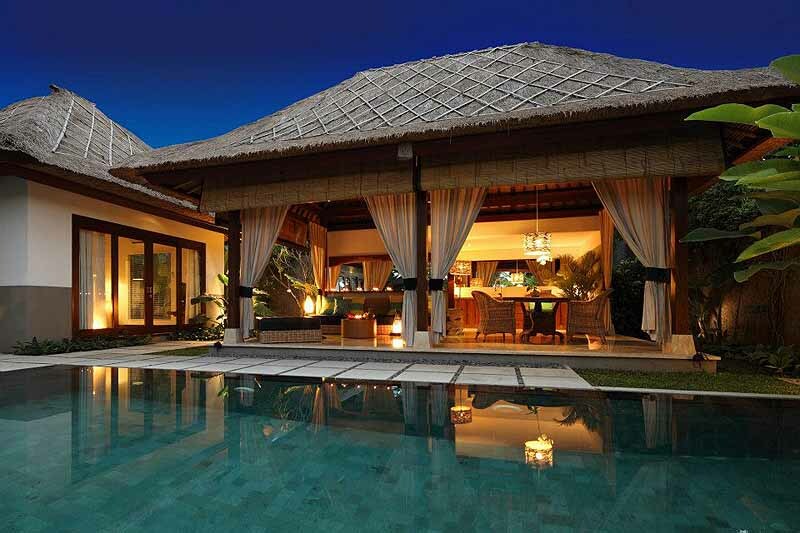 Many of these properties are Bali hotels with private pools, where you have your own villa and pool. So without any further ado, here’s our guide to 12 of the best luxury hotels in Bali – to suit your style! 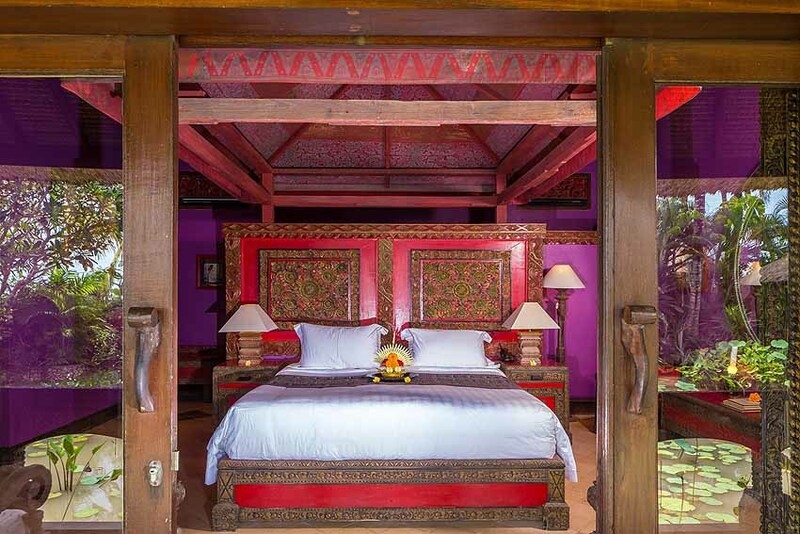 If you’re trying to figure out where to bed down in Canggu, put Tugu Bali on your list. 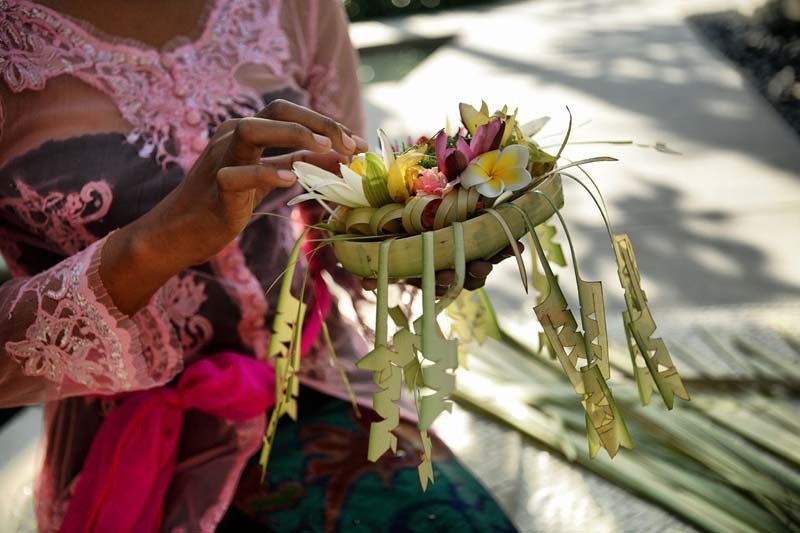 Staying at Hotel Tugu Bali is like immersing yourself in an engrossing book on Indonesian art and culture. Among the most unique places to stay in Bali, this lovely boutique hotel – only 21 rooms and suites – is decorated with one of south-east Asia’s largest private collections of eye-popping paintings, sculptures, antique furniture and other treasures. On Thursday evenings, you can watch free authentic Balinese dance performances. The Canggu beaches just beyond Tugu Bali’s lush grounds are hot spots for catching some of the best intermediate surfing waves on the island. On your honeymoon? Celebrating an anniversary? 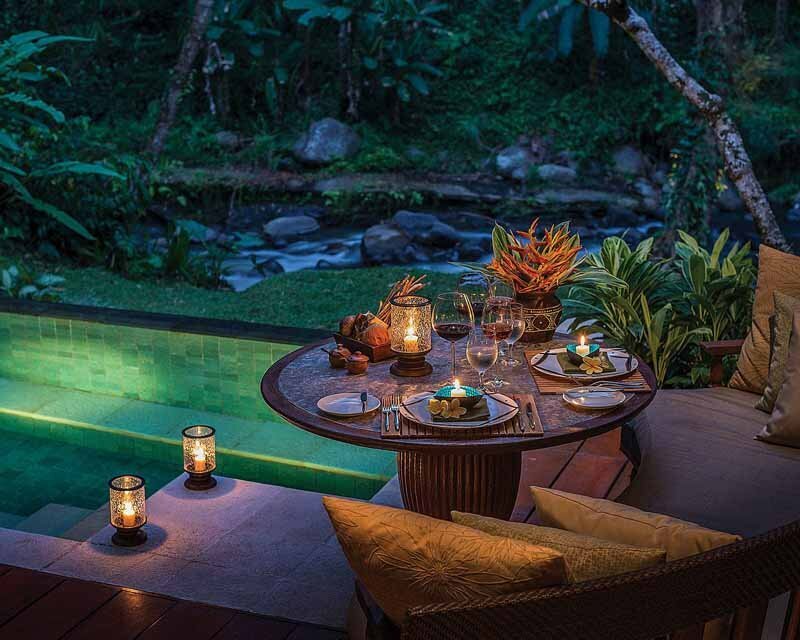 The 21 villas at Kayumanis Ubud Private Villa and Spa ooze romance. 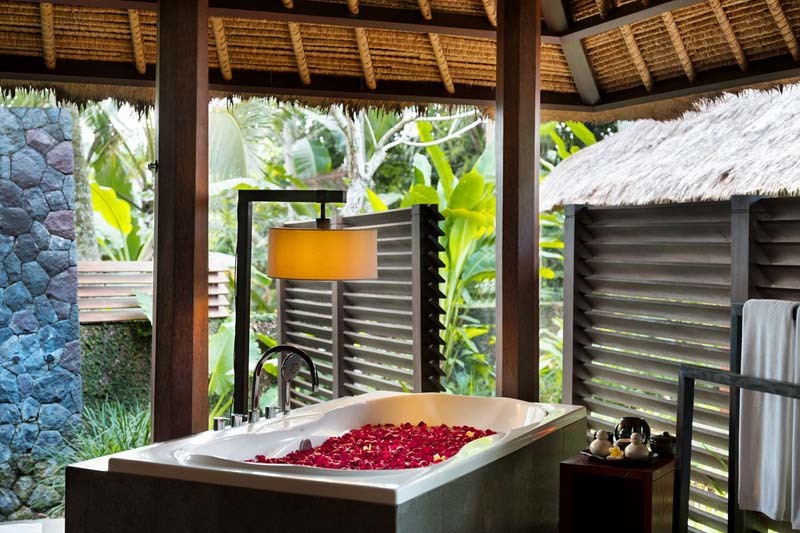 They’re exceedingly private, and the Deluxe Pool Villas have high walls around your own flowering garden, with separate bedroom and living room pavilions, topped with Balinese roofs. A seductive lap pool begs you to dive in (white plumeria blossoms kept falling into ours). We particularly loved our open-air bathroom with an outdoor shower in the ferns. Most guests have breakfast in their villas – a butler arrives with a wicker basket of goodies and prepares eggs for you on your living room’s cooktop (included in the rates). While there’s stiff competition, this place could possibly be the most romantic hotel in Bali. 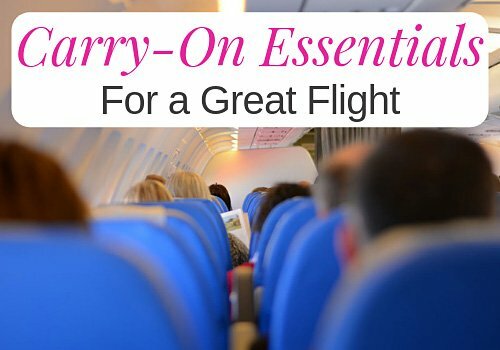 Sometimes when traveling you just want to feel like, well, you’re not traveling – you want to bring the feeling of home with you to the city or country you’re visiting. Enter The Kunja Villas and The One Boutique Villas. 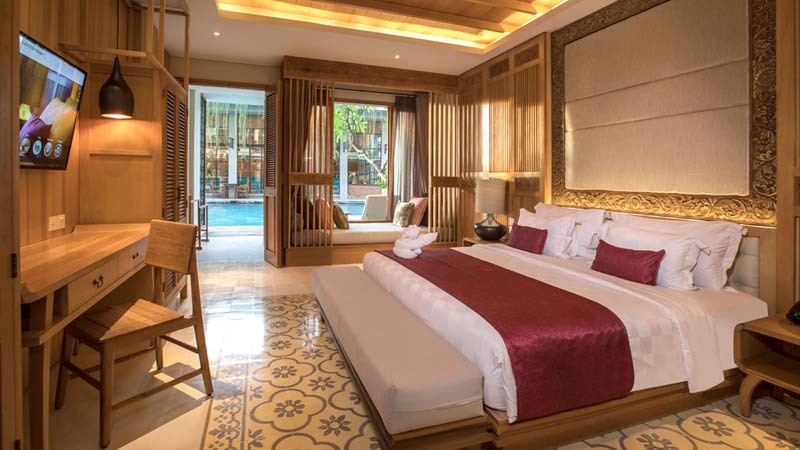 These are two luxury Bali villas smack-dab in the heart of upscale (and happening) Seminyak. You have your own private, walled-off villa with a pool and garden (and super-fast WiFi), plus a kitchen should you feel like whipping up a light dinner or snack. Don’t fret about chores – your villa comes with daily maid service. And you get breakfast made for you in your villa. (Cheese omelettes this morning?) Afternoon tea is delivered daily too. As well, there’s complimentary, on-demand chauffeur service when you want to hit the nightclubs or go into town for dinner. 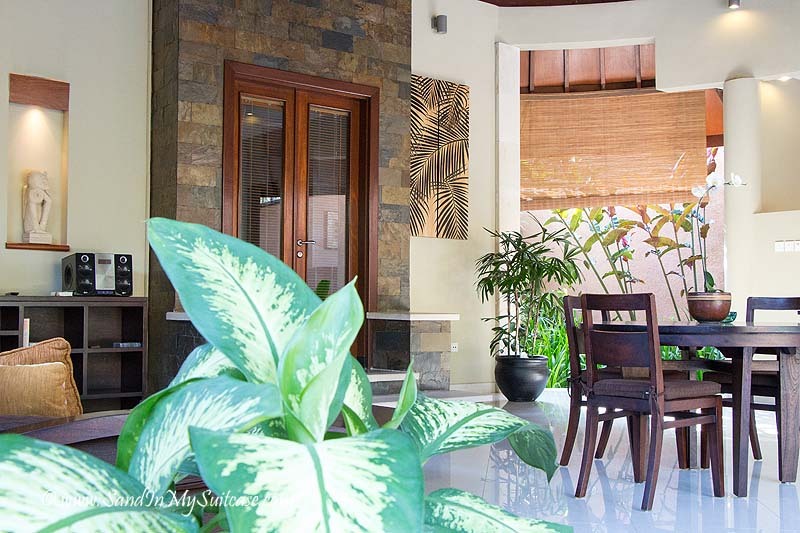 Read the TripAdvisor reviews here and here, and you’ll see that these are two of the best villas in Seminyak. Okay, so a Seminyak villa sounds great. But you really want to be right on the beach. 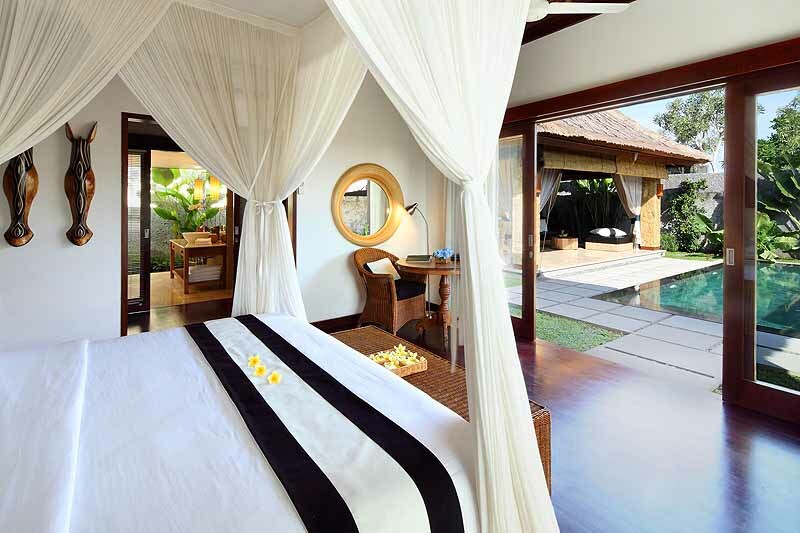 Of all the resorts in Seminyak, the mod and stylish Alila Seminyak gets our vote for the best Seminyak beach hotel. It’s set right on the quieter end of Seminyak Beach. And it’s spitting distance close to organic cafés, cool restaurants and trendy beach clubs. 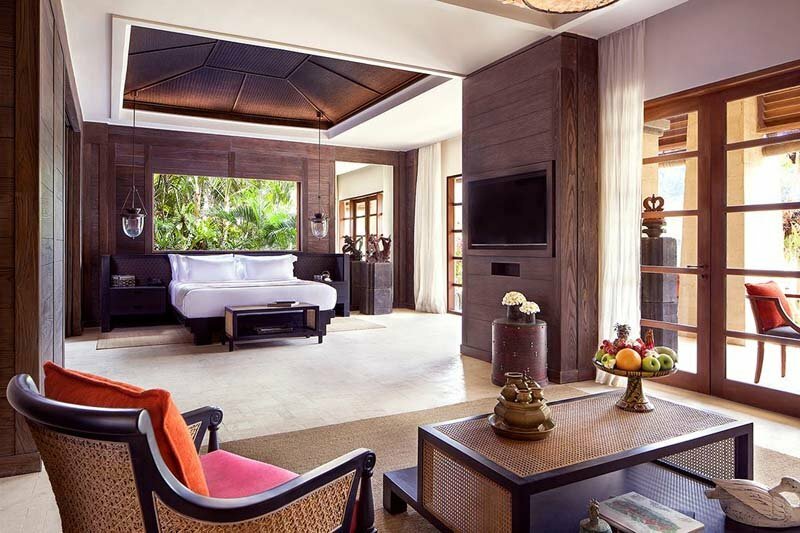 Alila Seminyak has 240 rooms and suites – clean and uncluttered in décor – housed in four-storey blocks. Think white terrazzo floors and white walls lashed with dark wood accents. In your bathroom and dressing area, you’ll find a yoga mat, beach bag and organic sunscreen. There are no less than five pools, including three infinity pools. Sip a cold one by the smaller beach pool which overlooks a 65-year-old Hindu temple. Or do laps in the main pool. We were super impressed by the Alila Uluwatu (reviewed later in this post). 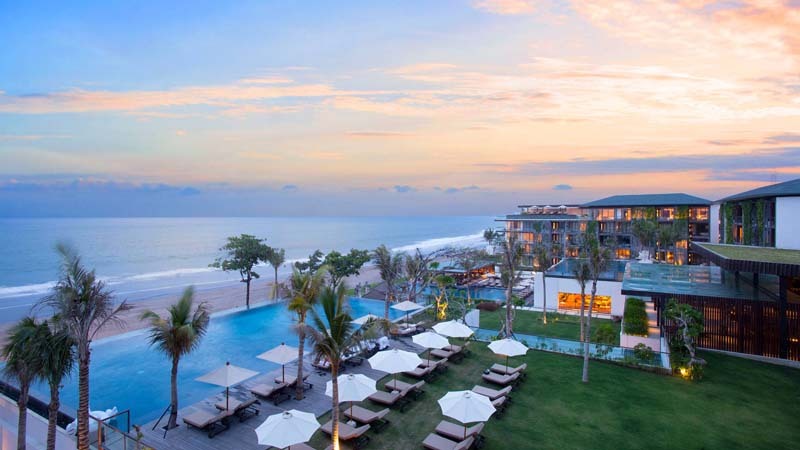 If Alila Seminyak is anything like the Uluwatu property, we’ve no doubt it boasts its own wow power. 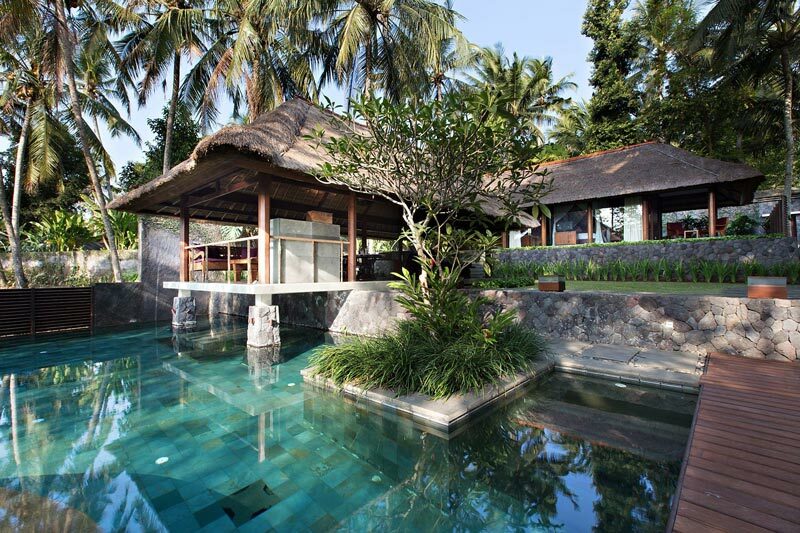 This is another luxury Bali resort we’d like to stay at next time we travel to Bali. You can always count on Four Seasons to deliver in the luxury department, and the Four Seasons Resort Bali at Sayan is no exception. 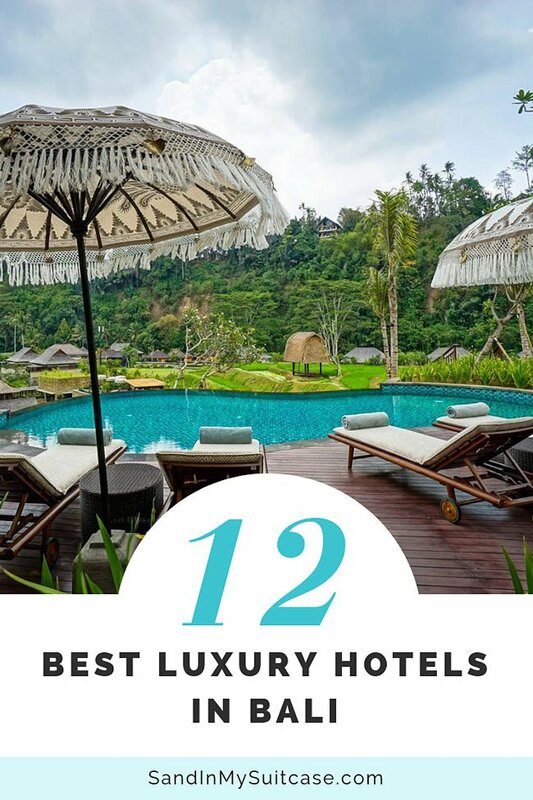 It’s one of the top resorts in Bali (indeed, considered by many the No. 1 hotel in the world). 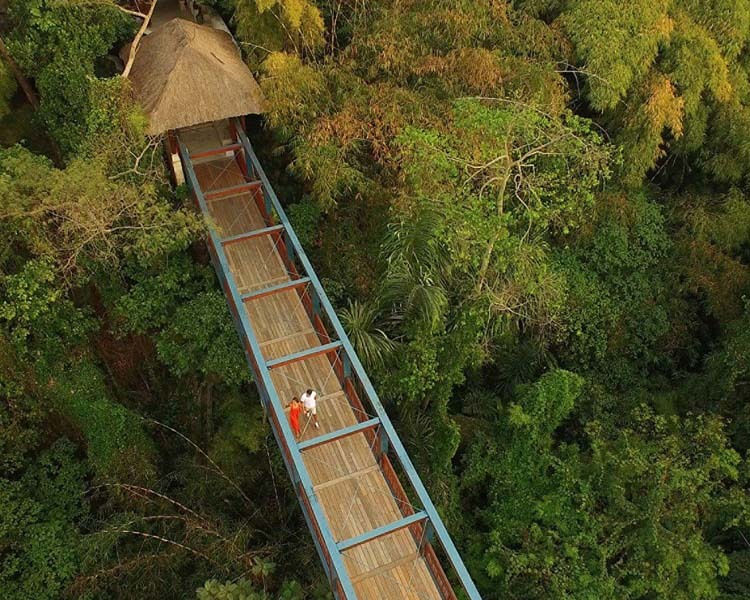 It certainly feels out of this world when you arrive – you cross a teak bridge high above a gorge to enter the resort. Complimentary perks include guided walks through the resort’s own rice paddies and village bike rides. It’s little wonder the former US president Bacack Obama and his family stayed here (in the Royal Villa) on their 2017 Indonesian vacation. 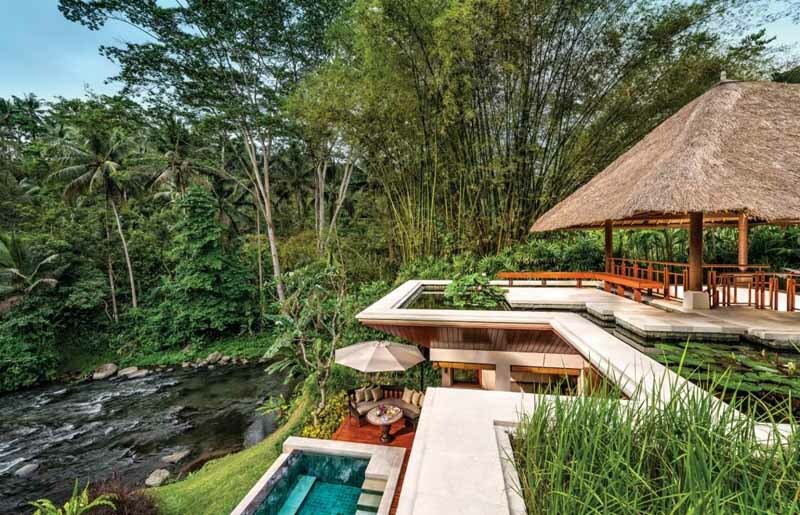 Or that Julia Roberts chose the Four Seasons Sayan as her temporary home when filming Eat Pray Love in Bali. 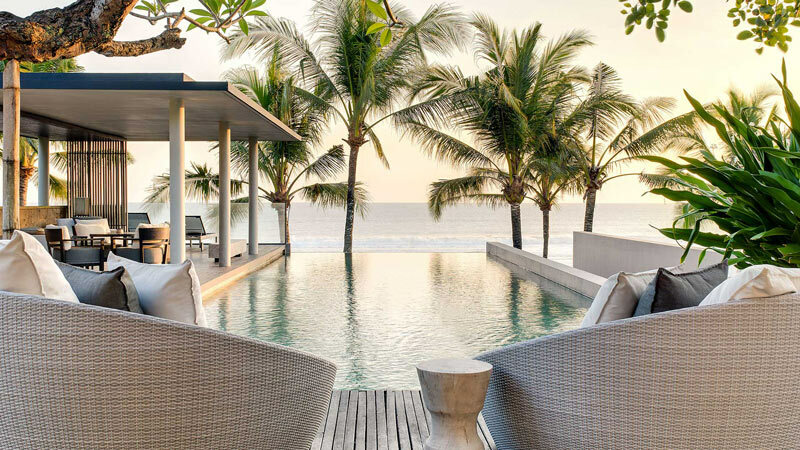 Bali’s new haven of cool, Canggu, is home to this 60-room boutique resort. While rated a 4 star Bali hotel, The Haven Suites Bali Berawa is more like other 5 star Bali resorts and gets great reviews. Rooms are appealing, contemporary in feel, but with artistic vintage tile floors and Balinese-style engraved wood accents. Plum rooms are ones where you can go for a dip right from your deck in the huge outdoor swimming pool, which is the hotel’s star feature. Gates open onto the grey-and-black-sand Berawa Beach. When you want a change of scene, trendy bars and restaurants are a 10-minute walk away along the beach. If surfing tickles your fancy, you’ll be jazzed to know that The Haven Suites Berawa is one of the best places to stay in Bali for surfing. It’s just a 5-minute drive from one of Bali’s top surfing sites – Echo Beach – known for its perfect reef break and consistent 3- to 8-foot swells. 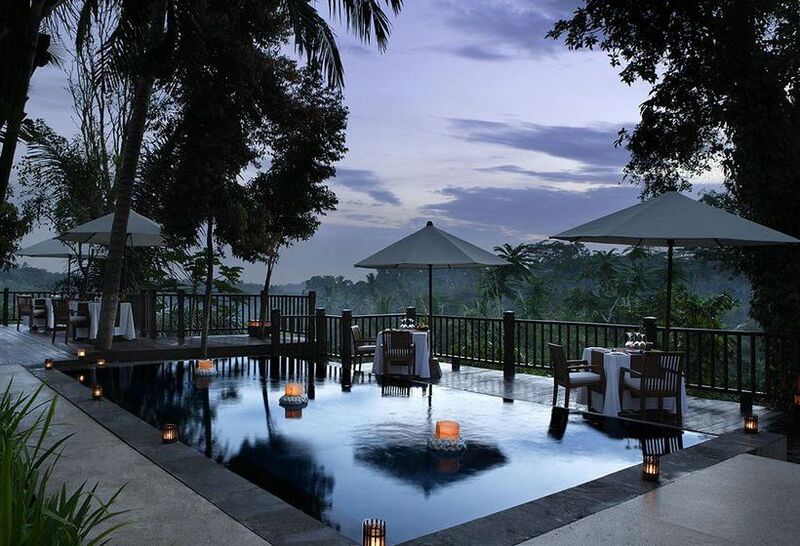 The third Ritz-Carlton Reserve – Mandapa – is found on the outskirts of Ubud. 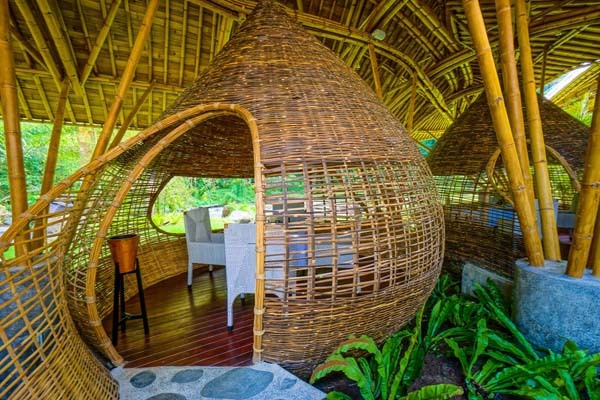 And Mandapa is on our hot list when we visit Bali next! 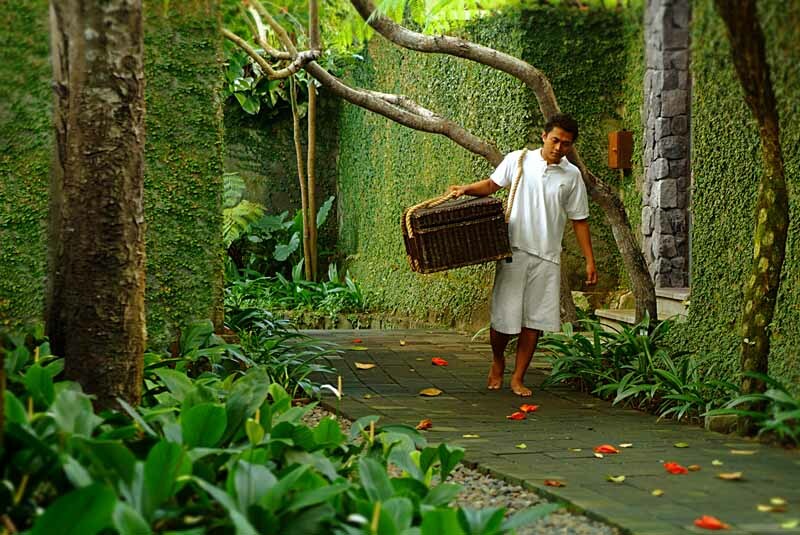 Resembling a Balinese village with its own rice paddy and farmers, Mandapa has 60 one- and two-bedroom villas. They’re kitted out with private plunge pools, Balinese furniture, outdoor showers and riverfront, rainforest or rice terrace views. Of course, you have 24-hour butler service. The resort’s Kubu restaurant is a hit. You dine by candlelight overlooking the river in one of 9 private, cocoon-like structures made from bamboo – very romantic. 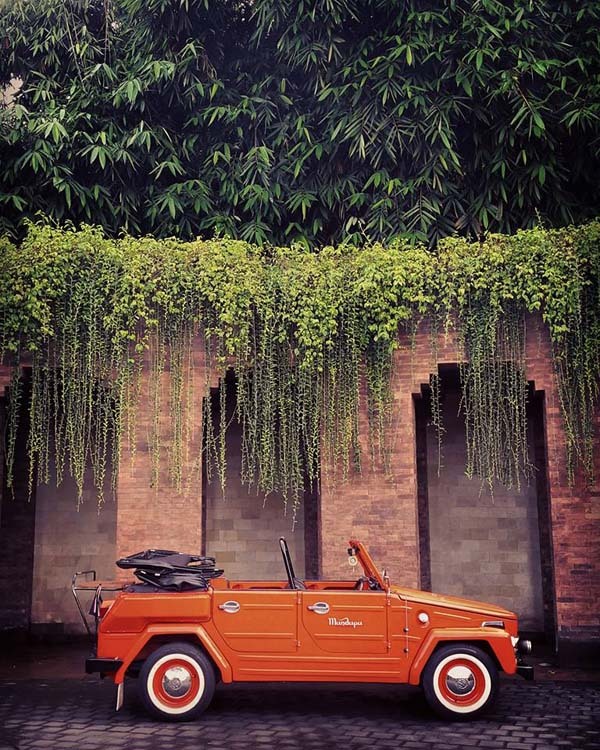 When you feel like visiting hidden temples and highland villages, Mandapa’s vintage Volkswagen convertibles can be booked for tours. Of the 5 star hotels in Nusa Dua, Kayumanis Nusa Dua is the best boutique one. 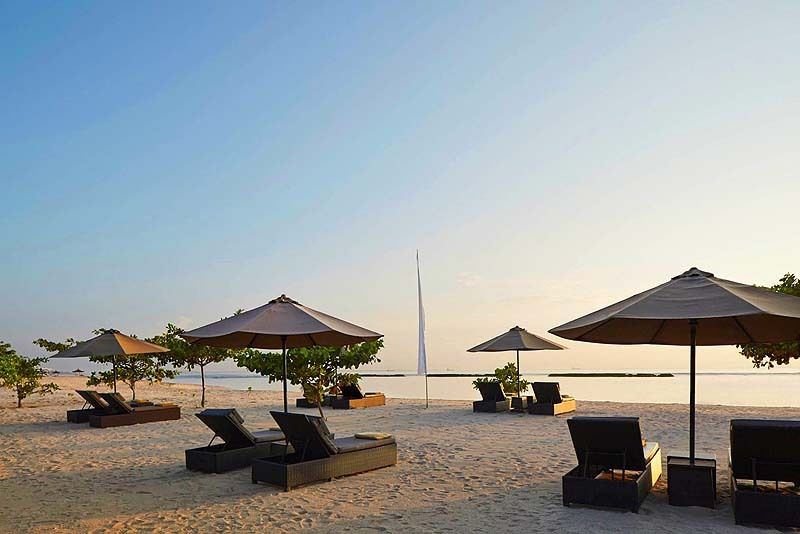 Picture-perfect with golden sand, the Nusa Dua beaches are some of the most beautiful beaches in Bali. The 21-villas aren’t right on the beach. 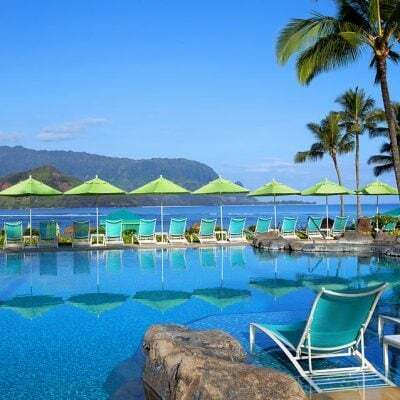 But the resort has its own serviced beach club with cushioned lounge chairs and umbrellas, just a 7-minute scenic walk away. Better still, take out the complimentary bikes and pedal all along the waterfront, bicycle-and-walking path in the private Nusa Dua enclave – then cool off with a swim in the ocean before heading back to your villa. The villas themselves are sophisticated, contemporary-style havens – think polished wooden floors, four-poster beds, outdoor black marble bathrooms and private pools with mini-fountains. The hotel’s romantic Piasan restaurant gets rave reviews (choose modern Italian or go for the smoked duck rolls on the Indonesian menu). 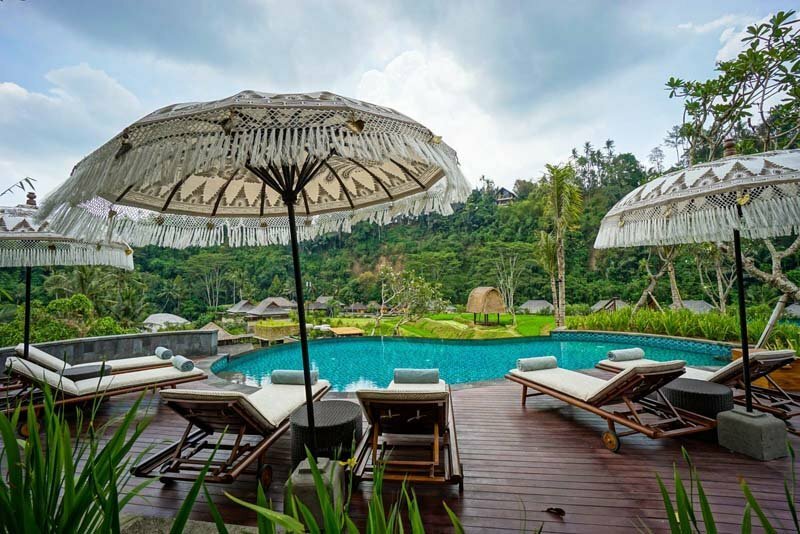 Where to stay in Ubud that’s 5 star but doesn’t break the bank? 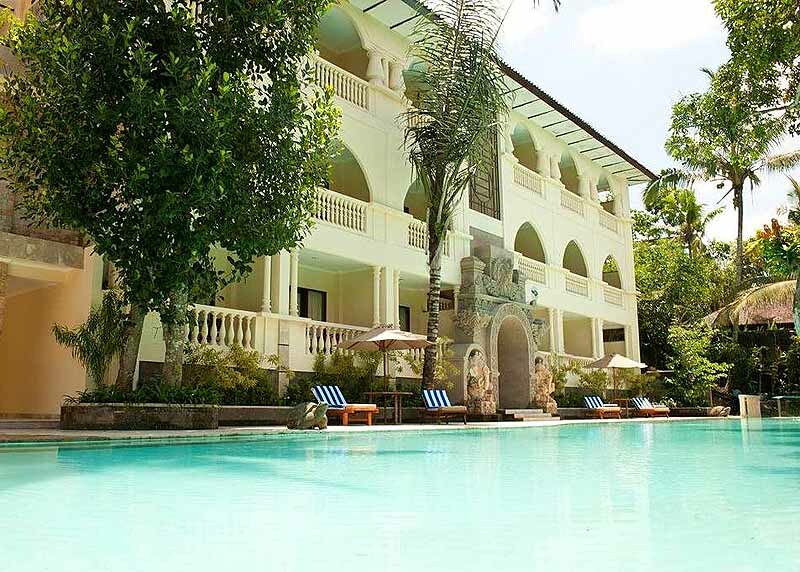 One of the best affordable hotels in Bali, Ayung Resort Ubud is perfect. It’s tucked away in the lush rainforest about a 15-minute drive from Ubud town. Huge hotel rooms have granite floors, four-poster beds and balconies overlooking a beautiful pool or the rushing Ayung River. 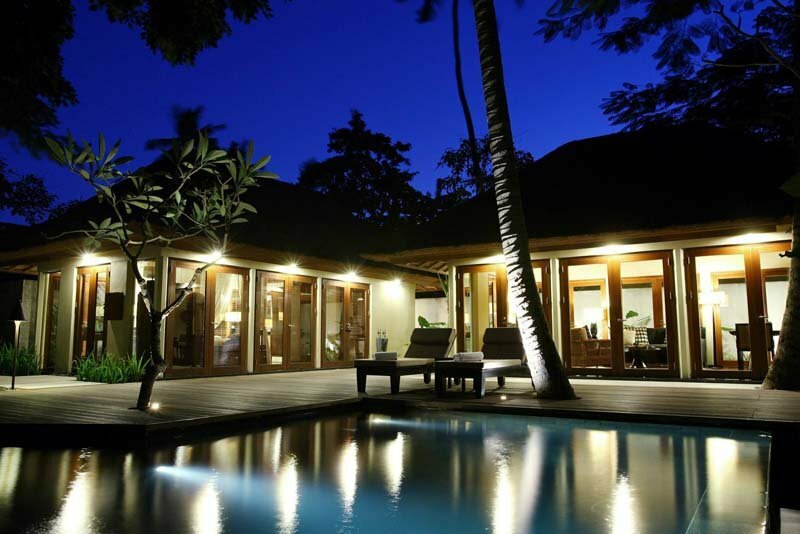 Or choose one of the immense Javanese villas with a private swimming pool. 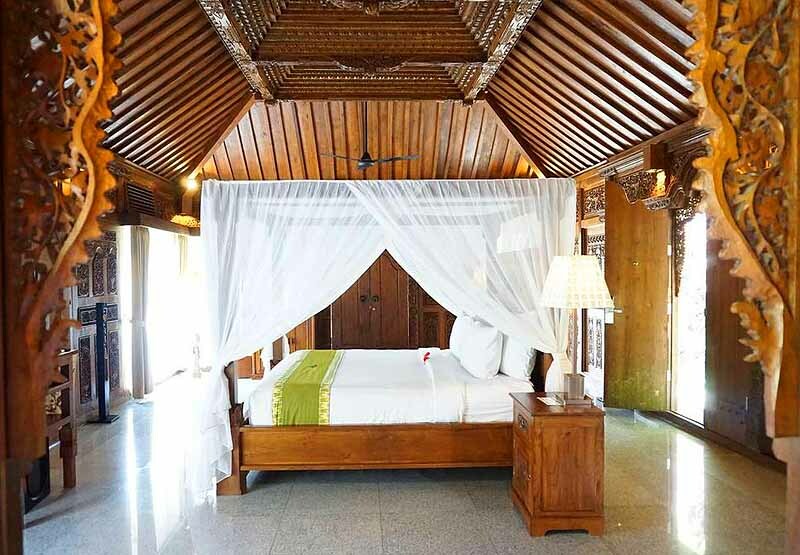 For cool places to stay in Ubud, you can’t beat these ornately-carved wood villas! 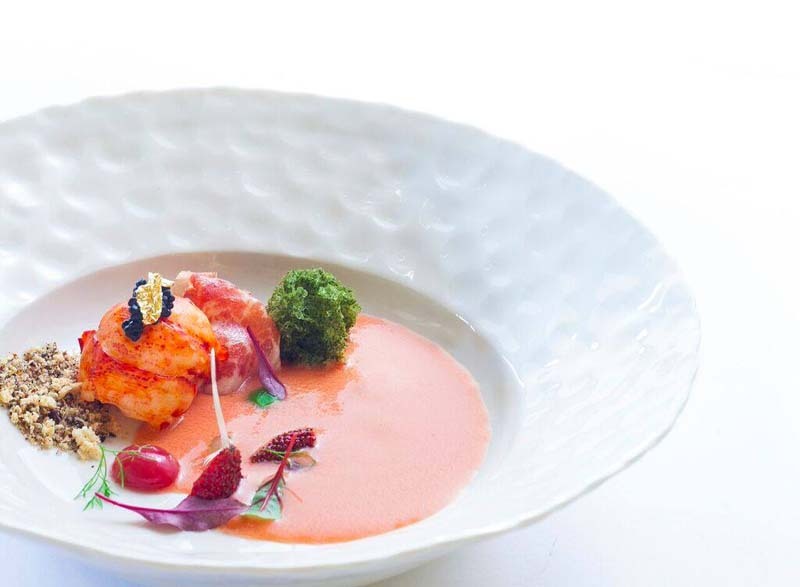 Ayung Resort’s top-rated restaurant is one of the best in Ubud – and you see exotic butterflies and monkeys in the trees. Rates include a delicious breakfast, English-style afternoon tea, transfers three times a day to Ubud town and WiFi. Having checked into so many fabulous hotels around the world, it’s sometimes hard to be truly wowed. 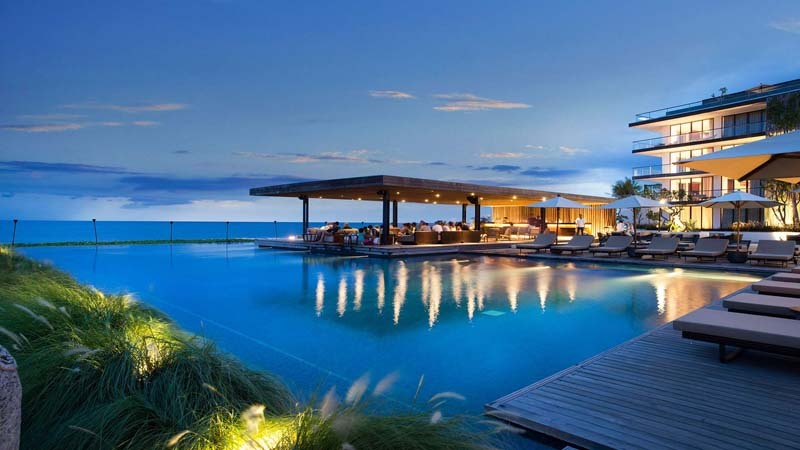 But Alila Villas Uluwatu – poised on a high clifftop overlooking the Indian Ocean – had our jaws dropping at every turn. 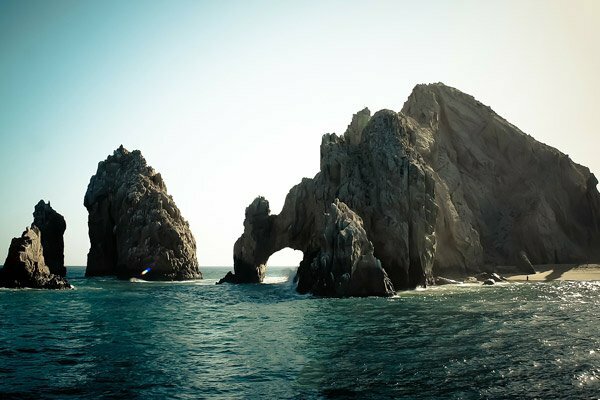 Its 165-foot infinity pool on the cliff edge is nothing short of stunning. So too is the “lounge,” which is like a big wooden birdcage, cantilevered out over the water. And then there are the 3,000 sq. foot villas (84 of them) built from recycled railway sleeper cars, volcanic rock and local bamboo. How to feel like a multi-millionaire! Almost all the window walls on all sides slide open so you feel like you’re living outside (and you can almost slip right from your living room couch into the pool). Can’t figure out the state-of-the-art sound system? Just ask your butler. 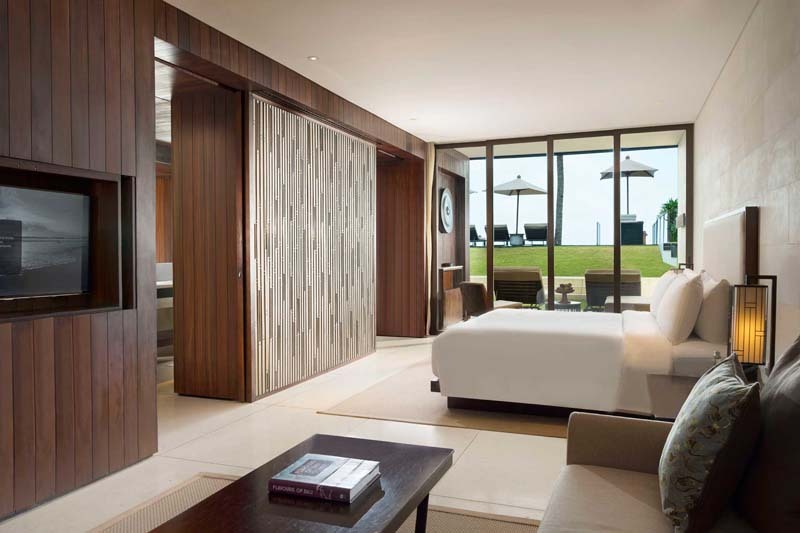 Alila Villa Uluwatu is a top contender on the list of best luxury resorts in Bali! The Soori villa retreat, surrounded by UNESCO’s world heritage protected rice paddies, hugs a black sand beach on the southwest coast, near the sacred Tanah Lot Temple. 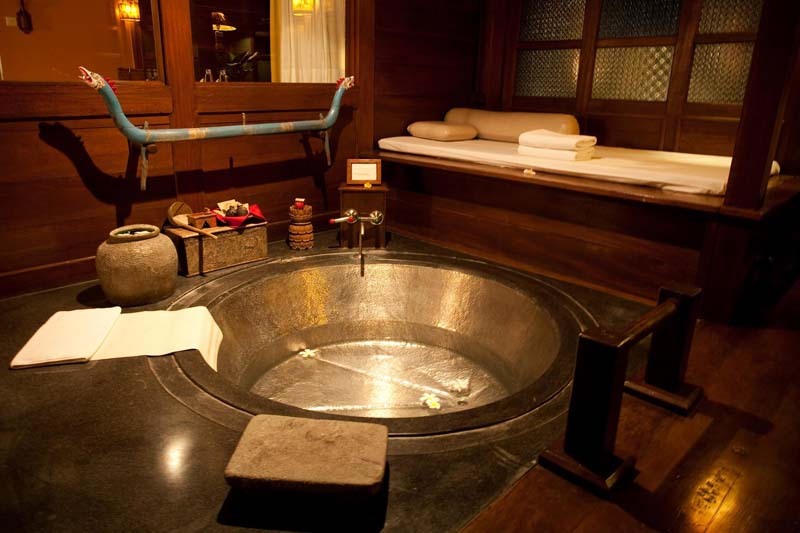 Formerly managed by the Alila Hotels group, it’s now run by the new Soori brand. And it’s a world away from popular go-to places in Bali like Nusa Dua, Seminyak and Ubud. On the drive to get there, we felt the stresses of everyday life melt away as we passed rice terraces and rural villages. 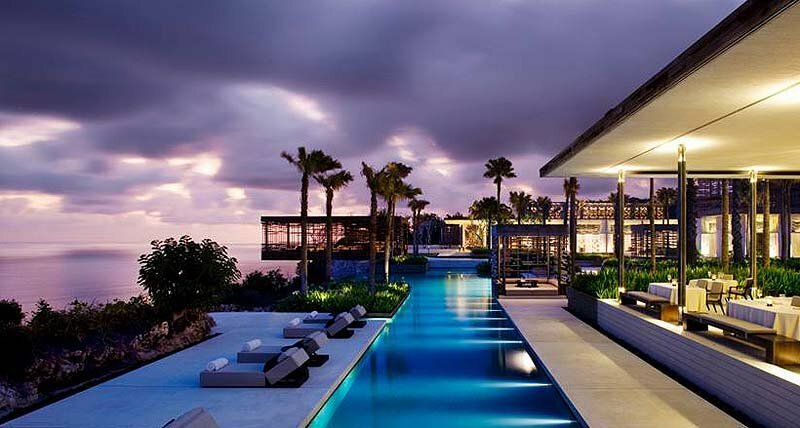 Award-winning architects created the 38 villas, most with ocean views (eight have mountain and pool views). Recently refurbished, their Asian-themed décor is cool and calming. Keep an eye out for the “Biebs” (if you’re into celebrity spotting). You stay in a gorgeous villa (designed like a traditional Balinese house), with an open-air living room, outdoor shower and your own plunge pool. Nightclub action? The resort’s Sundara is the spot when the sun goes down. 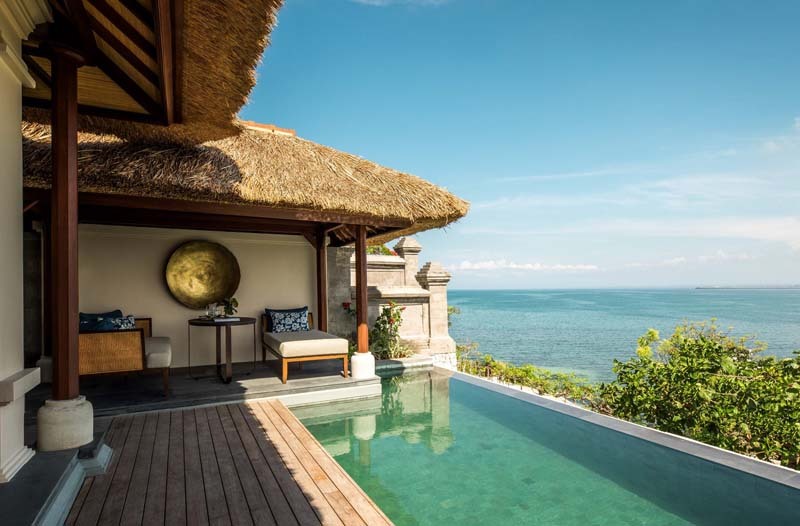 Yes, the Four Seasons at Jimbaran Bay – the last in our guide to the best of Bali’s 5 star resorts – has a little bit of everything to appeal to most all luxury lovers. When visiting the island of Bali, stay in at least two different areas (and two different luxury hotels in Bali) to get a better appreciation of the island’s diversity. Ubud is Bali’s cultural heart – famous for its art galleries and Balinese dance performances (and cheeky monkeys too in the Sacred Monkey Forest Sanctuary). Other great things to do in Ubud include taking an authentic Balinese cooking class, white water rafting and visiting the lush Tegalalang rice terraces to learn how rice is grown. Consider staying in places like Lovina, Sidemen and Amed to avoid the Bali crowds. Is it safe to travel to Bali after the earthquakes? It’s no more or less safe than before. Bali suffered very little damage in the mid-2018 earthquakes on Lombok. 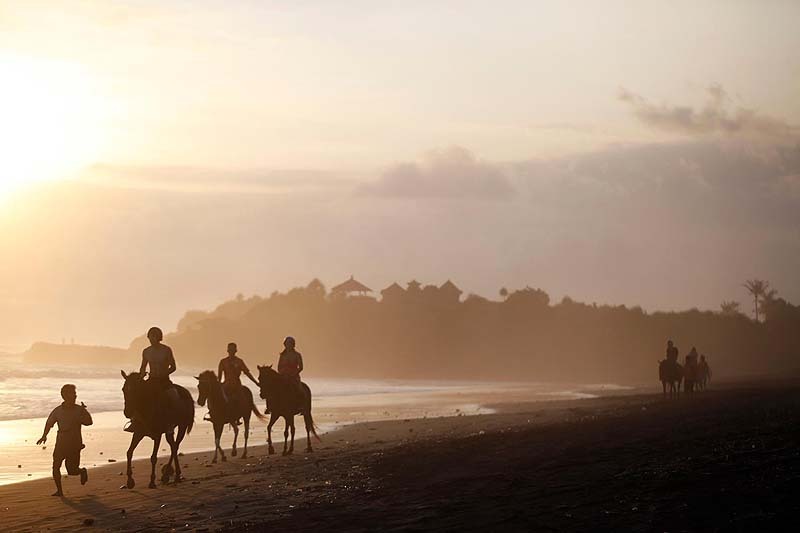 More than 1 million Australians alone visit Bali each year, and most visits are trouble-free. Add to that the 360,000 British nationals plus the hundreds of thousands of other international tourists who visit the island annually! But Bali sits in the Ring of Fire, so you should be prepared in case an earthquake happens to hit when you visit. See more in this British government travel advisory for Indonesia. You can also search hotel prices on HotelsCombined. It’s a popular hotel comparison booking site. 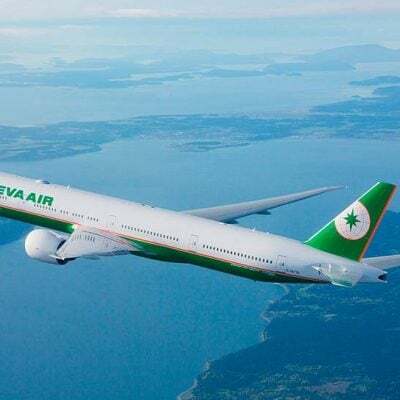 It searches sites like Booking.com, Agoda (popular in Asia) and Expedia to find the best rates for the hotel(s) you like. Click on the image below and try it! Super list guys. Bali is top shelf for glam hotels. We visited for a good 5 times. So you know Bali well! Bet you’ve stayed at some glam Bali hotels yourself :-). 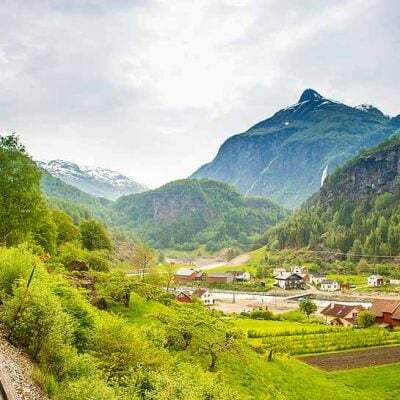 Oh man, these places are gorgeous! 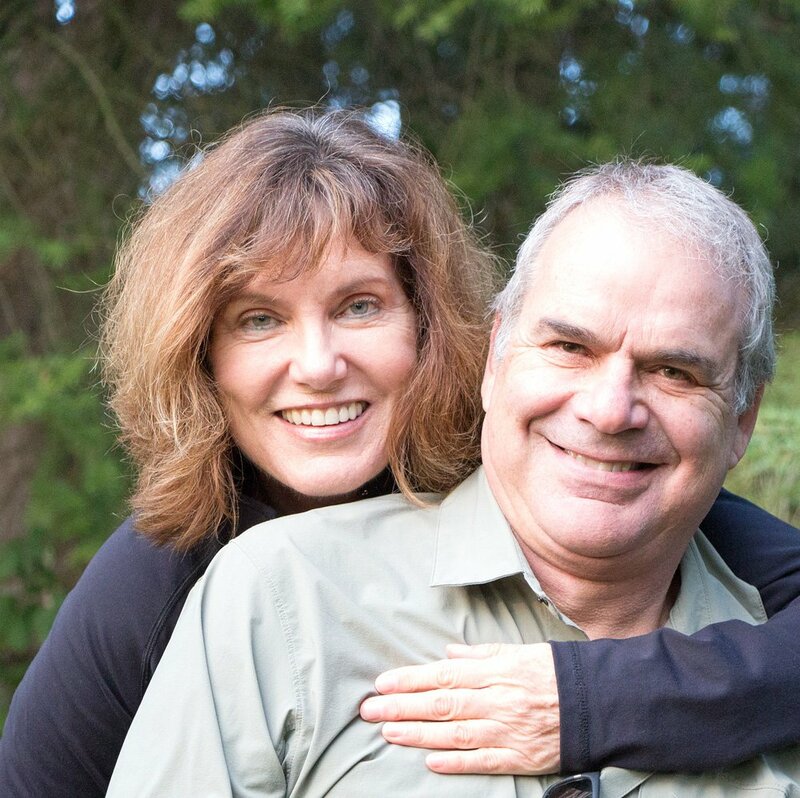 We stayed at the Four Seasons Sayan for a month since my husband was teaching yoga there! Just an amazing place, fabulous staff and so peaceful. I didn’t know Julia Roberts stayed there but everyone is very proud that the Obamas spent a week there after his presidency ended! We also stopped by the Alila in Uluwatu just to gawk. It is incredible too and the beach right below it might be the best beach in Bali! How nice to spend a month at the Four Seasons Sayan! We know you visit Bali frequently; maybe the Alila Villas Uluwatu needs a yoga teacher for a month too :-). I haven’t been to Bali, but I’ll definitely follow your recommendations when I go. The photos alone merit a visit. You’d probably love Bali – though very different from Italy! I’m in the midst of planning a big celebration trip and the timing of this could’t have been better. What a great overview of selection you’ve given me to think about. As you said, they all have their unique characteristics. Decisions, decisions…..
We look forward to learning where you decide to enjoy your big celebration :-). Have fun planning! I envy you , Janice, for staying in all these luxurious hotels in Bali. I’ve never visited Indonesia and Bali is very high up on my list, but so far I didn’t make it there. These properties are a dream, I’d be happy to stay in any of them. What a great round up – there’s really a little something for everyone and I must say, I found it really hard to choose hotels in Bali because they were all so beautiful! I totally agree with you about the Kayumanis properties but I am also intrigued by the local authentic art exhibits ar Tugu. Bali is certainly a great destination to hotel hop! Yes, Bali is the perfect place for hotel-hopping! The roads are so narrow and so clogged with all those scooters that it takes so long to go anywhere if you want to do a tour somewhere. 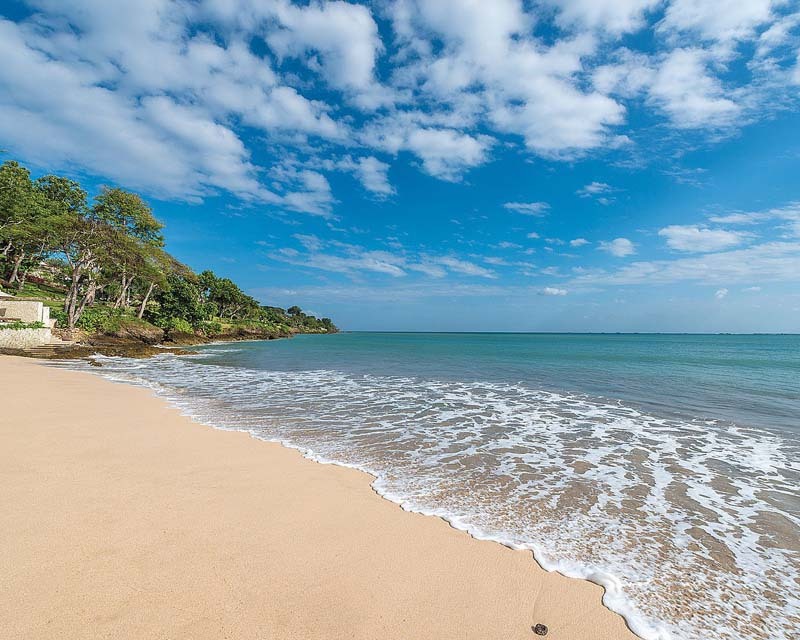 We think it’s better to move hotels and tour around from your home base (e.g., Ubud or Jimbaran Bay) – less frustrating and you get to appreciate the island’s variety. I’ve seen the less posh side of Bali. What a treat to now see the luxurious side! I’ve heard a lot about that Four Seasons and would be happy even just to tour it. The posh side is pretty posh! Plenty of posh hotels to choose from :-). 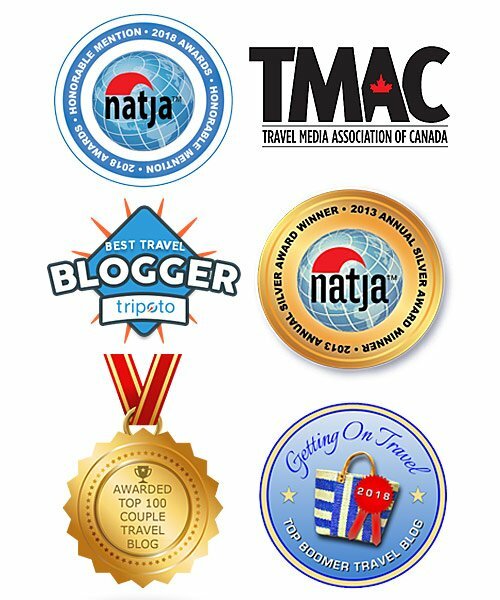 I know it’s work but how wonderful to check out all these lovely lodging options. I haven’t visited Bali yet but will be dreaming about that infinity pool and the room over the water. We certainly enjoyed our time there – and the “work” seems less like work when the lodgings are so darn beautiful :-). Oh my lord those pictures of Alila Villas Uluwatu are nuts! But at $600 a night.. might be too much. 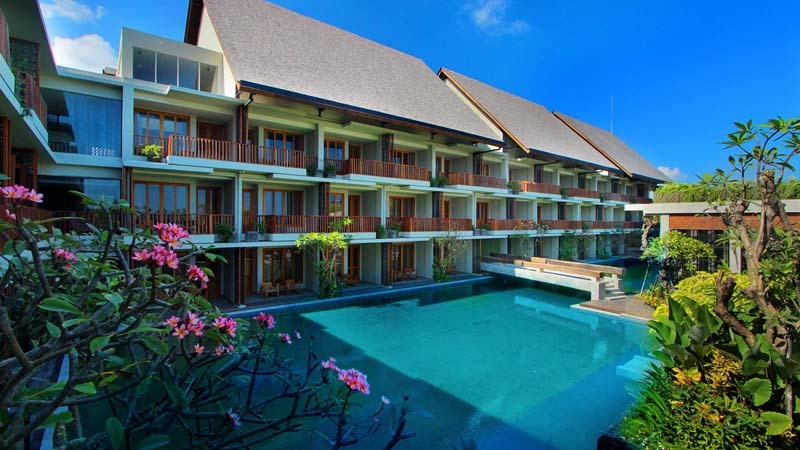 I would probably opt for the Four Seasons Resort Bali at Jimbaran Bay with a little variety as you had suggested. Yes, the top places do come with higher price tags. But we think you also get more for your money than you would, say, at a luxury hotel in Hawaii. Yes, we’ve been spoiled at these places. They do make returning home difficult! 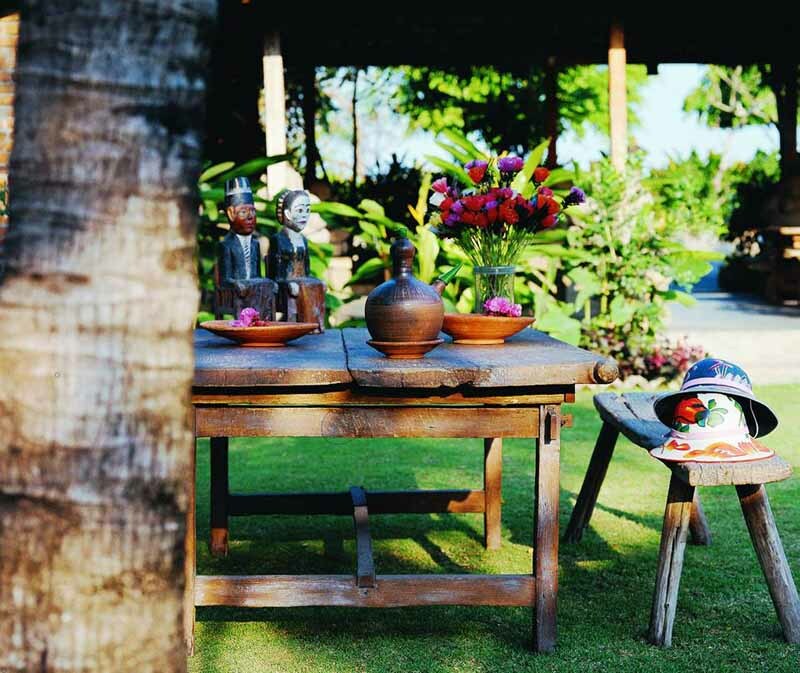 I love this look at luxury hotels in Bali! I stayed at the Westin Nusa Dua many years ago, and it was so gorgeous! I love the art and antiques in the Hotel Tugu. Most of the hotels in Nusa Dua are gorgeous – it’s a pretty high-end enclave ☺. all the more reason to stay at a few in different spots around the island :-).